World class mountain and glacier hikes! Flight seeing, white water & pack rafting, historic tours! Wrangell-St. Elias National Park is so vast in size, there is no better way to see it than from a plane. These are a few of the fine local companies we recommend. Flying in to the back-country of Wrangell-St. Elias National Park is, for many, a trip of a lifetime. McCarthy is the geographic center of this 13.2 million acre wilderness. The remote areas of this pristine world heritage site are accessible by bush plane, offering a variety of outdoor experiences unique to Alaska. Many visitors are finding that a fly-in guided day trip is a great way to experience the back-country, yet return to the comfort of a lodge or B&B in the evening. Exciting fly-in glacier trekking, alpine hiking and river rafting are all available in day, or multi-day trips. We use landing areas throughout Wrangell-St. Elias National Park that provide access to some of the most pristine mountain wilderness in North America. 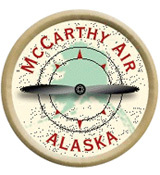 Owner Gary Green has been living and flying year around in McCarthy for over 35 years! We offer Flight seeing, backcountry drop offs, and charter flights. Shorter and longer flights are available. Two passengers minimum, and our unique Porter aircraft can take up to seven passengers maximum per flight. Back-country Drop Offs: We offer a variety of drop off locations, with prices ranging from $120.00 to $400.00 or more per person round trip. Again, prices are based on a minimum of two fares per flights. 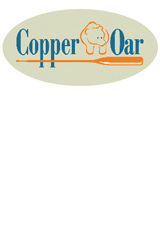 Copper Oar is the only rafting outfitter located within Wrangell-St. Elias National Park and has been haring the glacially-fed rivers with visitors since 1993. We offer a fabulous one-day trip down the Kennecott and Nizina Rivers that ends with a scenic bush plane flight from the edge of the river, over the glaciers and back to McCarthy. We include all the gear you need, a hearty deli lunch, and friendly, professional river guides who love to share their backyard with our guests! This trip features spectacular views, fun Class III whitewater and a steep and gorgeous canyon. It is suitable for everyone from novice adventurers to veteran river runners. We also offer multi-day wilderness rafting trips and multi-sport adventures throughout Alaska. 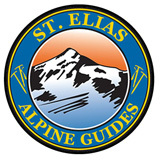 We are partners with St. Elias Alpine Guides and offer discounts for guests who spend multiple days with us. Please give us a call, visit our website, or stop by the office for more information. St. Elias Alpine Guides has been operating hiking, climbing, rafting and multi-sport adventures in Wrangell-St. Elias National Park since 1978. Over the decades of exploration we have gained an unmatched and in-depth knowledge of the park and love to share our amazing playground with our guests! Our guides are personable and enthusiastic professionals, certified by the American Mountain Guides Association or trained by AMGA certified guides. We offer half and full day glacier hikes and ice climbing adventures on the Root Glacier that are highlights of any trip to Alaska and suitable for just about every age and ability. We also offer alpine and bush-plane accessed day hikes, whitewater rafting trips, and multi-day hiking, backpacking and mountaineering expeditions. We include van transportation to and from McCarthy Lodge for all hikers and climbers, and have discounted packages available for guests who spend multiple days with us. We are also the park concessionaire for daily tours through the 14-story Mill building and the town site of Kennecott. 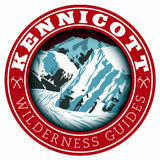 Kennicott Wilderness Guides is the local guide service providing professional service and unique Alaskan hospitality since 1995. We are a close-knit group of locally-grown mountaineers and year-round Alaskans, proud of both the high percentage of return & lifetime guides who call Kennicott-McCarthy home as well as the spectacular and authentic wilderness experiences and adventures we provide visitors year after year. We offer full transportation to & from McCarthy for Day Hikers & Climbers. We support car-pooling, and only use our shuttles when the community shuttle is not available. Tell the driver you're with KWG and it's covered! We are offering McCarthy Lodge guests special tours and packages, call our office or stop by for more details on special offers for McCarthy Lodge Guests! offers professionally guided rafting trips among the many rivers of Wrangell St. Elias National Park & Preserve. Offering trips for all skill levels from five hours to fifteen days, we have a trip to satisfy any adventure level. Our day trip launches daily on the Kennicott Glacier Lake which is continually forming as the Kennicott Glacier slowly recedes from its historic terminus. Spend time exploring among Icebergs and get up close and personal with an active glacier before exiting the calm waters onto the Class III ride of the Kennicott River, it is a great trip for first timers and experienced rafters alike! For a longer adventure, take a look at our webpage for a wide selection of great overnight and multiple day options. We also supply full service river equipment rentals including boats, kitchens, shuttles and anything else you may need to complete your personal boat trip in the Wrangell Mountains! Give us a call, send us an email or stop by our office next door to Ma Johnson's Hotel in Historic McCarthy for more information. Come experience Alaska's best rivers, in America's largest wilderness! 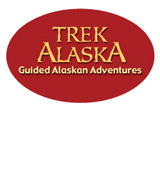 Trek Alaska guided hiking and backpacking. Have you dreamed of hiking and backpacking across open Alaskan tundra or lonely alpine passes where few ever go? Wrangell-St. Elias National Park is Alaskan adventure at its finest. For many, an Alaskan hiking and backpacking adventure is a trip of a lifetime &dash; so they want to do it right. There are a lot of outdoor adventure providers out there who offer trips all over Alaska, from southeast to the Brooks range. 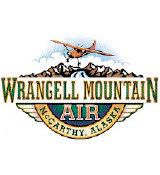 But for us, Wrangell-St. Elias isn't just one niche in a long list of destinations &dash; this is our home. We specialize in backpacking treks in this unique corner of Alaska. Choose Wild Alpine Guides and Outfitters for unique guided day-trips and multi-day adventures plus gear rentals and outdoor equipment needs in Wrangell-St. Elias National Park. May thru September, guided adventures include glacier hikes and ice climbing instruction, fly-in backpacking treks and mountaineering expeditions. Visit our outfitting store in downtown McCarthy &dash; the only gear shop in the McCarthy Kennicott area &dash; for your favorite backcountry brands: Patagonia, Smartwool, Black Diamond, Rab, MSR, Therma-A-Rest and others. Rent mountain bikes, glacier hiking crampons, and other necessities to enhance your human powered adventure. For distinguished experience, let Wild Alpine coordinate your Custom Flightseeing Safari: fly in a small plane piloted by the leader in mountain aviation, Paul Claus, high above the braided rivers and snowy peaks then land on a glacier or remote coastline for a picnic lunch. 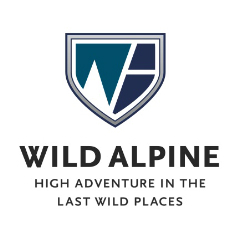 Together, Wild Alpine and Ulitma Thule Outfitters offer unparalleled access to the largest mountain kingdom on Earth. Join us in 2013 for top-notch service with authentic Alaskan guides; truly high adventure in the last wild places. Ultima Thule is defined as ‘the land remote beyond reckoning.' The hand crafted lodge is located 50 air miles from McCarthy, with private cabins and luxury amenities tucked deep inside the Wrangell St. Elias National Park. Here, guests find themselves in a world removed from civilization with access to the vast, untamed land of glaciers, wildlife, and soaring peaks. Each day, the flight safari adventures are tailored to guests abilities and the boundaries of Mother Nature. Ultima Thule Lodge is family owned and operated and is deeply rooted in wilderness adventure and stewardship in a land that is truly remote by reckoning. Below you'll find some of the most popular hikes in the area. This is a very popular route with locals and hikers, but not very advertised. You will meet other hikers most likely. Great views, lots of water, good camping, some bears- be prepared. Rough terrain, and great views Approximately 15 miles but you can go as far as you want making this a great day hike. This hike starts at Kennicott Mill Site. There is a ranger station at the entrance to Kennicott &dash; report in. Camping is allowed along this route. It is a very nice day hike for the whole family. 4-7 miles. Lots of fresh water. Bears possible so be prepared. Ground squirrels in this area. Nice views but better on hike 1 above. Hikes up McCarthy Creek may require you to cross the creek several times. For much of the year this is no problem as it is a shallow creek. Check with the locals to find out the conditions of this creek as many of us must cross it each day to and from our homes and work place. Take route 4 up the creek and keep following the creek and road. Several tunnels hewn through the rock face on this route. There is private property along this trail so please be respectful of this. You can make this trail a day hike or camp over. Approximately 13 miles possible. Starting in McCarthy follow the creek and old road and then branch off at Nikolai Creek and go up and over the Kikolai Pass to the Nizina River Valley. This historic freight route was much used at the turn of the last century to access the gold rush area of Chisana or Shushanna and several other mountain passes used to traverse early Alaska. The Nikolai Creek is named after the powerful Athabascan Chief Nikolai whose domain spread in to this area and played an important part in the early history of this important mining district. 17-20 miles to the Nizina. Definitely a 2-3 day hike, some steep ascents and descents. McCarthy Creek is a great day hike and picnic area. Probably only 4 miles long this trail is easy to follow about the first half and then gets steep. As long as you are heading uphill there is no way to get lost. The last half is very steep but the panorama is great. If you get high enough you can check out the remains of an old mine located near the end of a rocky chute. You must be in good shape to complete this hike in one day, it is a hard work out. Horses used to carry supplies up this route to the mine site. This is a State Road and an easy hike. The May Creek and Dan Creek was a very important mining area in existence before McCarthy or Kennecott. The first phone system went in between McCarthy and Dan Creek. The end of your hike is rewarded by the incredible sight of the Nizina Bridge. The Nizina Bridge tells the importance the early Territorial Government place in this area and the dollar wealth it produced. The road is about 12 miles in length with many homesteads scattered along the way. Great Day Hike for the family or take several days. Cross over McCarthy Creek here in McCarthy then down the Kennecott for up to 4 miles. A delightful hike that is easy and filled with all kinds of surprises and magical sights. You can retrace your steps or you can hike a short distance through the woods and walk back on the Nizina road. Hard to lose you way on this hike with the river on one side and the road on the other. Great day hike for the family with plenty of places for kids to get wet and muddy and go picnicking. Starting at the same place as number 5 this is a much easier hike and will take you by beaver lodges, old wood cutting trials as well as horse freight packing trails. The forest is open for much of the trail and one can view the activities of the forest and explore outcroppings and plants in different habitats. Nice Day Hike with the family or alone. Approximately 3 miles. Walking from McCarthy towards Kennecott to our Community Center "Tony Zaks". Opposite Tony Zaks you will see a sign marked "Wagon Trail". You can take this trail to Kennicott Mill Site if you wish, it is a good bicycle trail. During the railroad days this trail was used to carry freight by wagon or motorcar to Kennecott. When the trail forms a Y go to the left and this will take you to the glacial moraine and dry river channels. Locals used to gather ice here in recent years. This is a very fun area for kids and adults alike. Follow the dry channels down river and you will end up near the foot bridges near where you entered McCarthy. 2 &dash; 4.5 miles depending on which way you choose to go. Great Day or Evening Hike with the family or alone. You can spend endless hours out here exploring the interesting geology of our area.